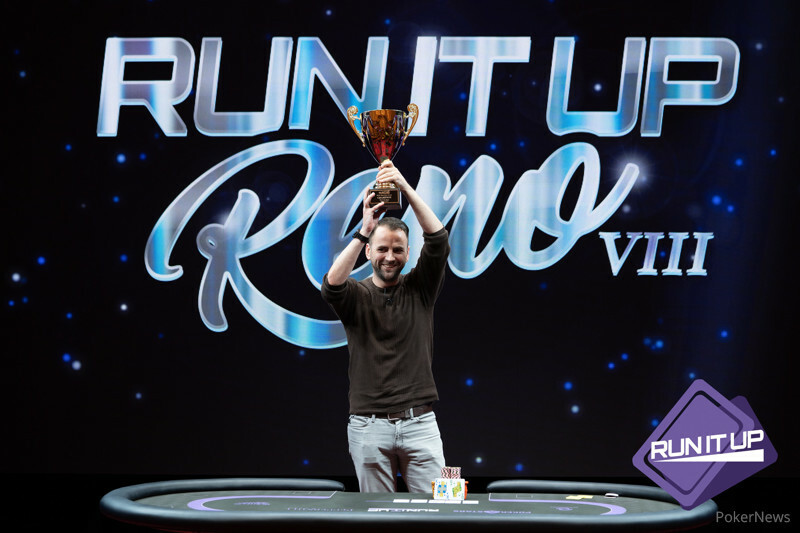 Day 3 completed yesterday and it was only fitting that three gold RIU trophies were awarded! 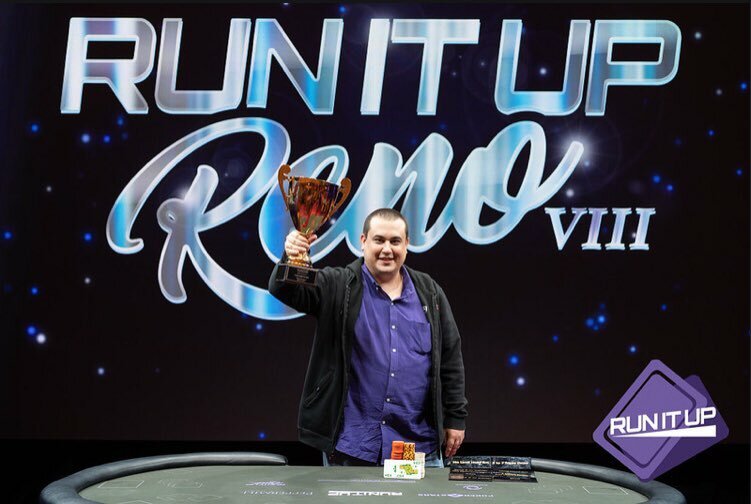 The $440 Mini Main Event with $100,000 guaranteed wrapped up with the first Twitch broadcast of Run It Up Reno VIII and John Boriolo (pictured) was victorious. 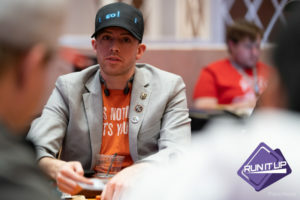 He topped a field of 285 entries across two starting flights, pocketing $26,073 for his win. 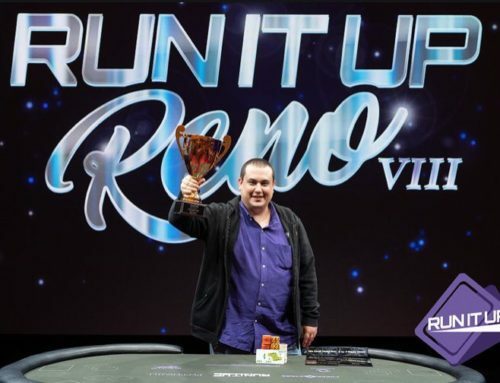 Boriolo defeated a tough opponent in Scott Stewart who took home $15,392 for his deep run. 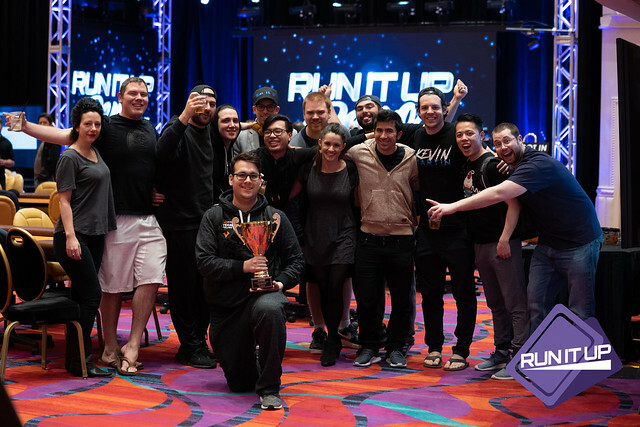 Familiar faces that made the final table included Ashley Sleeth (3rd – $9,685), Michael Trivett (4th – $6,631), Jesse Capps (5th – $4,905), and Ivan Zarate (7th – $3,109). 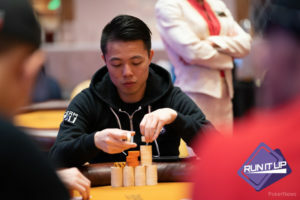 Additionally, many players that made deep runs in this event included the likes of Jed Hoffman (10th – $2,040), Patrick Tardif ($1,640), Team RIU Pro Ricky Guan (24th – $1,080), Jesse Sylvia (26th – $880), Andy Camou (35th – $720) and Team RIU Pro Kevin Martin (38th – $720). The $235 6-Max H.O.R.S.E. 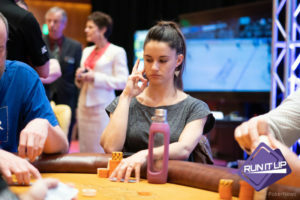 event boasted a $20,000 guarantee and attracted a total of 94 entries. 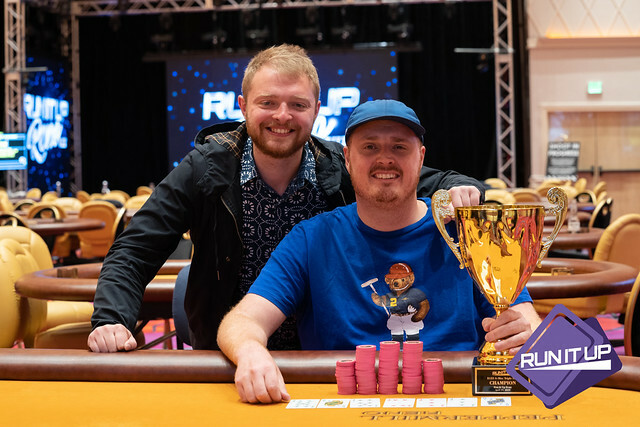 Adam Owen (pictured) was the last player standing, earning his second RIU gold trophy and taking home $5,955 for the win. 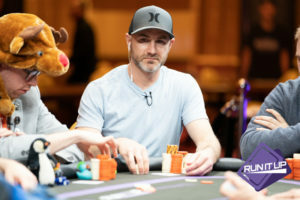 Owen added to his impressive resume with over $3.2 million in lifetime live earnings. 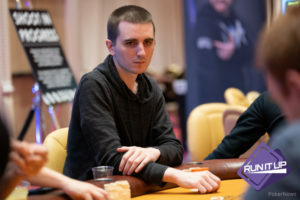 He defeated Richard West heads-up, who pocketed $3,575 for his deep run. 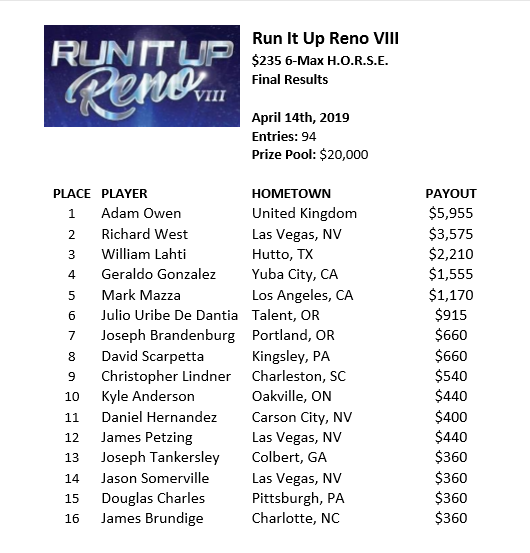 RIU Warriors making it far in this one included Mark Mazza, Chis Lindner, Kyle Anderson, Jim Petzing, and our fearless RIU leader Jason Somerville. 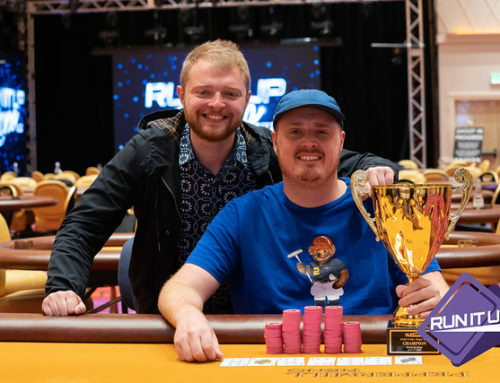 The final trophy of the day went to Twitch Streamer Patrick Tardif, winning his first piece of RIU gold in the $125 Super Stack Supersonic for $3,030. 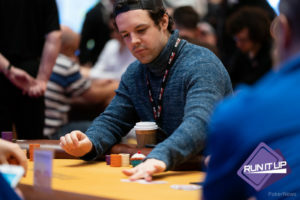 The Canadian poker player topped a field of 140 entries with a prize pool of $13,580 after registering late after being eliminated from the Mini Main Event earlier in the day in 12th place. 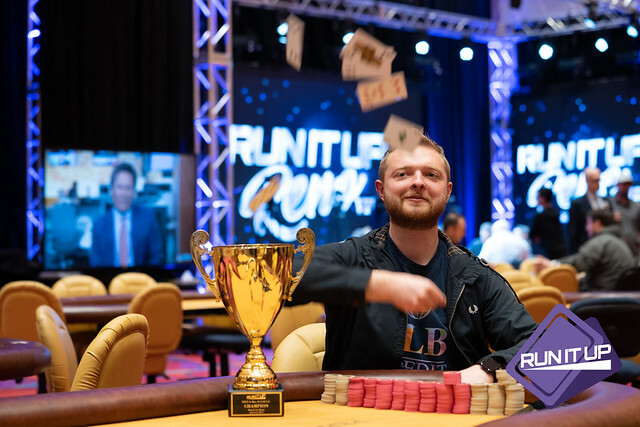 He defeated Kristina Mohalla heads-up, who took home $1,960 for her deep run. 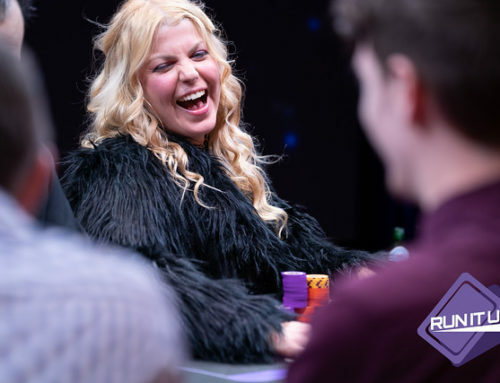 Sarah Sherman is another highlight today, making her third final table in as many days. 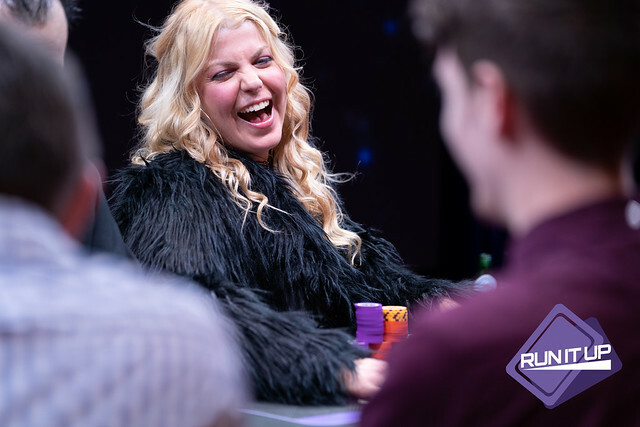 She earned her second RIU trophy just last night, taking down the $125 6-Max NLO8 event for $2,000! 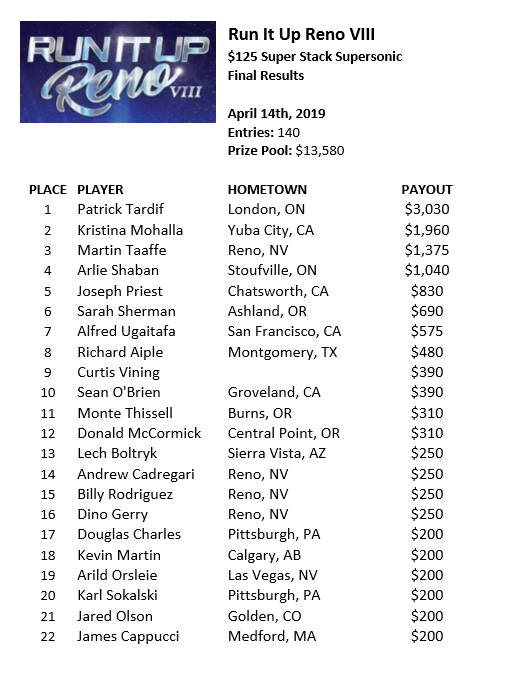 Players that made it deep in this fun event included Team RIU Pro Arlie Shaban (4th – $1,040), Sarah Sherman (6th – $690), Team RIU Pro Kevin Martin (18th – $200) and Jimmy Cappucci (22nd – $200).